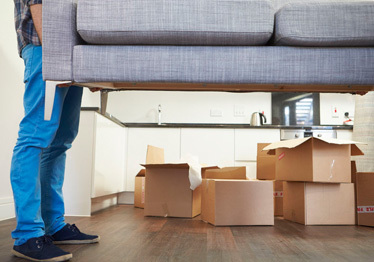 Filling the gap caused by different completion dates for your house move? The perfect house move will involve the same completion date for all parties to enable everyone in the chain to move on the same day. But the world is an imperfect place and many people find themselves temporarily homeless, albeit for a few days. Filling the gap between leaving your previous home and moving into the new one will be quite straightforward if you have relatives or friends with lots of spare room, or a big enough budget to put the family up in a nice hotel. But what if you don’t have either resource? Many families these days are opting for a short stay in a serviced apartment which has many advantages over staying in a hotel, not least of which is the price. A serviced apartment for 4 will cost around the same as good hotel room for 2, with the added advantage of having a lot more space, more home comforts, and you’ll be better placed to keep an eye on the kids. Taking the option of a serviced apartment also means you’ll have a fully equipped kitchen, enabling you to continue making your own meals, and stay in control of your family’s diet. You’ll also save money by not having to eat out all the time. Serviced apartments will also include a lot of features which hotels will charge extra for, such as WiFi access, car parking space, satellite TV and laundry facilities. Some people would prefer to wait until they’ve sold their old home before looking for a new one to buy. Having the money in the bank puts them in a good position to either get a good deal or move quickly when the right home comes up. And if they’re moving to a brand new area, living there for a while before deciding exactly where to move to can help prevent costly mistakes. Renting unfurnished property may seem like a good idea, but the contract will tie you in for a few months at a time and you’ll risk having to pay to the end of the contract, even if you move out before it’s finished. On the other hand, renting a serviced apartment will give you the flexibility of staying in a hotel – as soon as you check out, you stop paying. If you’re looking for a stop-gap between homes, take a look at our fully equipped serviced apartments which are perfectly located if you’re moving to the Dacorum area, e.g. Hemel Hempstead, Kings Langley, Chipperfield, Boxmoor, Apsley, Bovingdon, Leverstock Green, Gaddesden Row and Flaunden. All have onsite parking, WiFi, phone and Sky TV, and are ideally placed for the centre of town – it’s just a short walk to the Riverside and Marlowes shopping centres, 15 mins walk to the station, and a very short drive to the Snow Centre and multiplex cinema.